Congratulations and Welcome to the 44 Chief Donahue!! 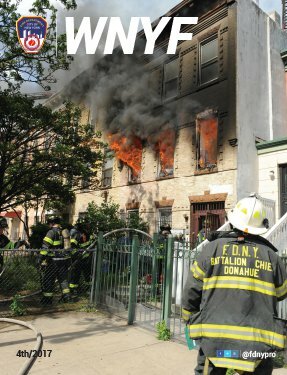 The chief comes to us with a wealth of experience after serving in some of the busiest firehouses in the FDNY. As a firefighter he worked in Ladder 26 under, at the time Lt. Calamari (L120), and with as firefighters Capt Rodgers(L120) and Lt. Brown (L120). As an officer he served in E75 and L10. Welcome to Watkins St. Chief!!! !